– Much of the content has been updated and made more relevant to our ever-changing world. You’ll find new topics, articles and exercises within a fresh new design. You won’t lose the old favourites though – they are still there, with a facelift. 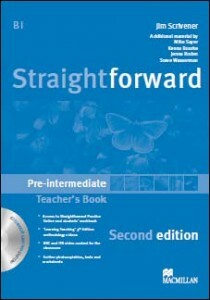 – The strength of the Teacher’s Book has been built on with the addition of a Teacher’s Resource Disc that includes twelve 2-3 minute video clips per level from the BBC and ITN, photocopiables and new methodology videos from Jim Scrivener’s Learning Teaching 3rd Edition. – The CEFR still plays a prominent part in the series and there is even clearer signposting and more self-assessment opportunities.